Man. I barely know where to start with Ghost Recon Wildlands. I can't remember the last time I played a game that was so completely and utterly all over the place in terms of its quality, content, and gameplay. Bottom line, though, I'm having a lot of fun with it. That is, when it's not frustrating the crap out of me. But I'll get to that later. First, let's quickly run through the game's synopsis. The time is June 2019, and the place is an alt-history Bolivia. During the years leading up to the events of the game, a small-time Mexican drug cartel called the Santa Blanca has slowly, but surely gained power and influence across the country, turning it into a major narco-state that produces vast quantities of cocaine, which is shipped around the world. 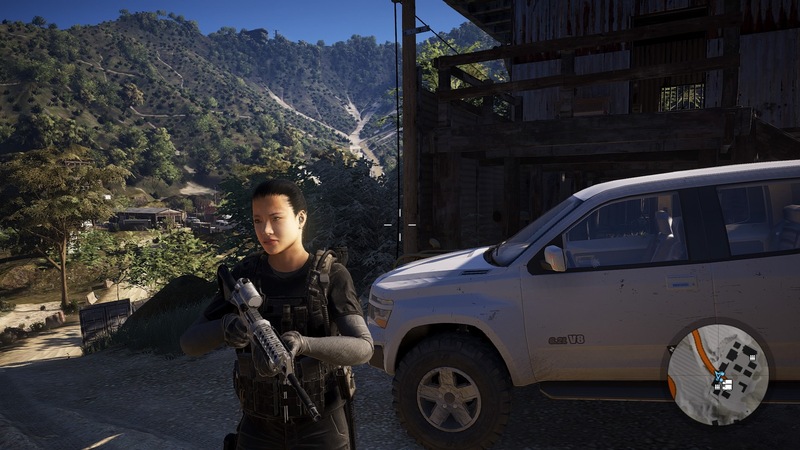 The US government, already worried about Santa Blanca's growing influence beyond Bolivia's borders, soon becomes actively involved in the proceedings following the bombing of the US embassy in La Paz, and the abduction, torture, and murder of one of its DEA operatives. Something clearly needs to be done, and to that end, Operation Kingslayer is initiated: A team of four elite special forces "Ghost" operatives is sent into the country to uncover the links between the drug manufacturers and local government, and destroy the cartel. 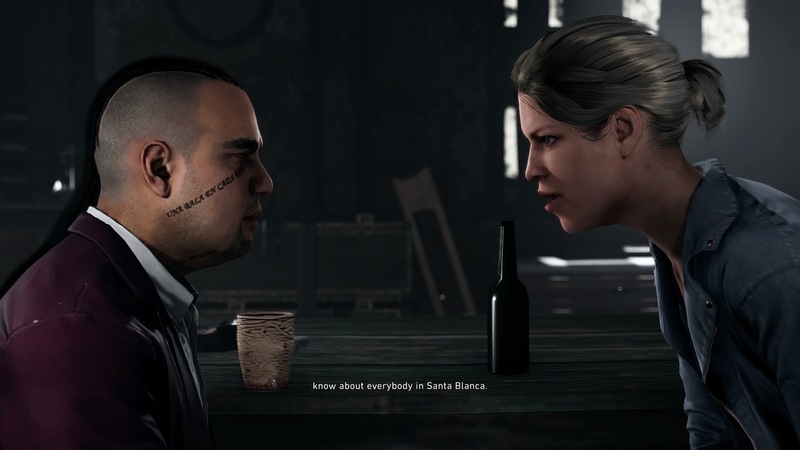 What that basically adds up to is a vast open-world game in which the player – either alone or with up to three fellow participants – tackle an exceptionally wide array of missions designed to undermine cartel operations, identify and eliminate key personnel, and ultimately confront and bring down Santa Blanca's kingpin – El Sueno. The player's comprehensively customizable character is dropped into the game in the Itacua region, and is given a simple rescue mission to kick off the action. However, you don't have to follow this critical path, and are free to travel wherever you want. The game is broken up into 21 individual provinces, each of which has a difficulty level rated one to five, and its own set of missions. When you first enter one of these zones, you're given a few pointers by your CIA boss Karen Bowman – essentially very limited intel that highlights specific spots on the map that you can visit to gather information about your surroundings. As you complete these introductory tasks, you garner clues that subsequently open up story missions that you can then tackle to destabilize and destroy cartel operations in that zone. As well as story missions, each province is packed with a myriad of side missions and activities that you can engage in to a variety of ends. Some side missions boost the strength and resources of the local rebels, who can be called in to help you on certain missions. There are also supplies and skill points to find, which can be used to develop your character, as well as gun crates, pieces of equipment, collectibles, and intel. The sheer volume of things to do is almost overwhelming, and sometimes it's difficult to know what to tackle next. Completing missions earns experience, and that levels up your Ghost and grants you skill points that you can use to select perks and traits to customize your character, AI squad mates, and your drone. 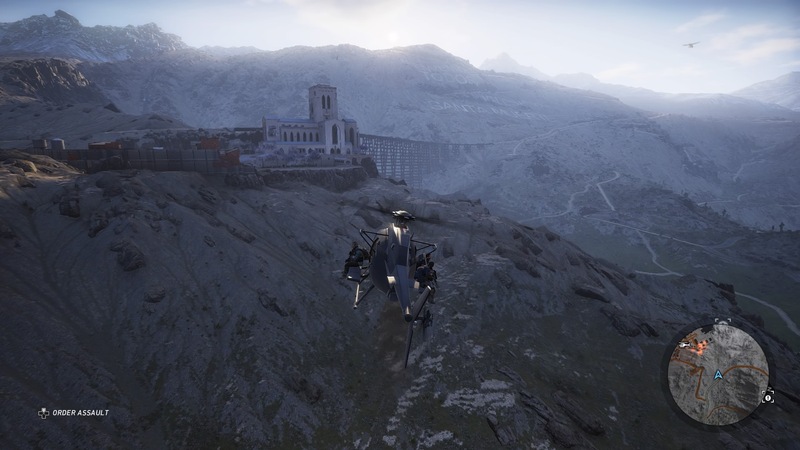 There's a very broad array of options available, ranging from being able to run longer distances and increasing your resistance to enemy bullets to equipping your drone with a noisemaker that can distract enemy units and enabling you to jump from a plane using a parachute. Basically, skill points let you to build your character to suit your own playstyle, whether that's increasing the strength and abilities of your character, or making your AI squad mates tougher and more resilient to damage. Further adding to the customization element is your two-gun/one pistol loadout. As you pick up new weapons and parts, you can fettle your equipment to suit the way you want to play. My primary weapon is a heavily suppressed P416 assault rifle with an extended magazine, long barrel, and a powerful scope, which I use to sneak around and take out enemies without being heard. I pair that with a sniper rifle for long-range engagements. I have yet to find any decent parts for it, but I'm hoping to eventually get my hands on an extended magazine and better scope. If that kind of setup doesn't sound like your style, there's an impressive roster of other gun types to choose from, including shotguns, sub-machine guns, light machine guns, compact machine guns, and pistols – as well as the aforementioned sniper and assault rifles. There are numerous guns per category, and each has its own stats, so you can really hone in on what you need – whether that's a long-range, high-damage weapon, or one that handles really well and is very stable while aiming down the sights. Additional accessories found or earned while on your travels help you finesse your gun even more, and there are all manner of stat-tweaking items to add to your weapon, including stocks, grips, magazines, barrels, suppressors, and scopes. All these weapons options add up to a highly tweakable loadout that's a lot of fun to play around with. Combine that with the skill tree, and you have a very customizable character that can be built to really complement your playstyle. I've certainly enjoyed building out my character, and am very happy with the way she works – she's resilient, can run long distances, and is great for stealthy play. As a single-player game, Ghost Recon Wildlands is fun, but sometimes frustrating. Your three AI squad mates are only occasionally useful. The problem is, you can't really tell them to do anything. They just follow your lead and help you pick off high-threat targets. They're not tactically or strategically savvy, and oftentimes can barely keep up with you. Basically, they're like bonus damage pets that are quite handy, but you don't really notice most of the time – other than when you're twiddling your thumbs waiting for them to get into a vehicle. Oh, they are very useful when you get nailed and need to be revived: They're very quick to respond to that. But for the most part, they just don't really feel like your teammates. Swap them out for real people, however, and it's a whole new ball game. Missions suddenly come to life as you and your friends figure out who's doing what, when, and where. The proceedings become far more tactical and strategic, and it's just really entertaining driving around the countryside from place to place, wrecking everything. Oh, and that's something else that happens when you play multiplayer. As a single-player game, Ghost Recon Wildlands is quite tough. At least, I think so. But as a multiplayer game, it's fairly easy for four players to out-think and out-maneuver pretty much whatever the enemy can throw at you. It's a lot of fun, but nowhere near as challenging as it is when played solo. The other thing about playing on your own – and this is where I start getting into what I talked about at the top of this review – is that missions vary wildly in terms of how much fun they are. 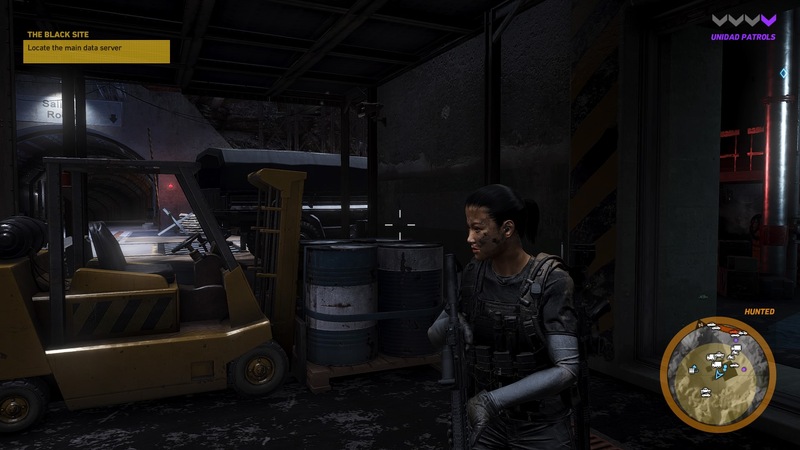 Some are straightforward assaults on locations, involving stealing things, looking for intel, or rescuing or extracting people, while others are more stealth-oriented. I've had a few missions that involve tailing people, planting bugs in a house, using my drone to record events, and even protecting a person from being shot by cartel members. The game works well when it's more of a shooter – assaulting locations is simple and entertaining. But when it tries to make missions more sophisticated, it sometimes becomes frustrating – mostly because the game is simply rough around the edges. Stealth missions task you with doing something while remaining undetected. The trouble is that the game's stealth mechanics are really weak, and it's hard to tell when you can be seen or not. The enemy AI is also rather inconsistent. Sometimes you can shoot someone, and other enemies don't notice. Then at other times, they do. It just makes for a rather irritating experience where you end up using trial and error to figure out exactly what you can and can't do under certain circumstances, rather than feeling like you're using your skill and judgment. Another mission that really annoyed me was one where I had to protect a union leader from assault from the Santa Blanca. The guy was walking around on a stage in the middle of a gunfight, and the only thing I could do was try to shoot at the enemies before they shot him. After trying multiple times and failing, I eventually figured out a really dumb solution that involved creating a deliberate traffic jam to slow down the incoming enemies, who arrived by car, which I then blew up while they were stuck. While I was very entertained by the results, it just didn't feel like I was playing the game properly. I also felt the same way completing a mission that involved me stealing a delivery truck full of medical supplies. I simply ran into the middle of the compound, jumped inside the truck, and then drove it down a sheer cliff face to escape. I ended up bumping along a riverbed until I finally reached a road, and then drove it to safety. It just felt really silly. This is the upshot of Ghost Recon Wildlands being a sandbox game that gives you free reign to tackle things however you want. The problem is that the game's designers can't account for everything, which means that sometimes you can get creative with bending the rules of the game by doing something unrealistic, or that simply feels like cheating. Such as stealing an armored personnel carrier with a massive cannon mounted on the top and using it to lay waste to the opposition on an assault mission, running away from a firefight to reset the enemy aggro level, or driving down the side of a mountain to cut off someone who's trying to escape in a car. Situations like this just break the game's immersion for me, turning the proceedings into something that just feels rather ridiculous. It's not like it happens all the time, but it does so often enough to make Ghost Recon Wildlands feel more like a preposterous arcade shooter than a serious tactical combat game. Driving around the game can also give rise to many an absurd moment. Most cars handle pretty poorly, and roads are often bumpy, narrow, and very twisty – which results in many prangs and scrapes as you travel from place to place. Fortunately, vehicles can take huge amounts of punishment, and are capable of things like driving up and down steep inclines, bumping over rocky terrain, and smashing other cars out of the way, seemingly with no penalty. 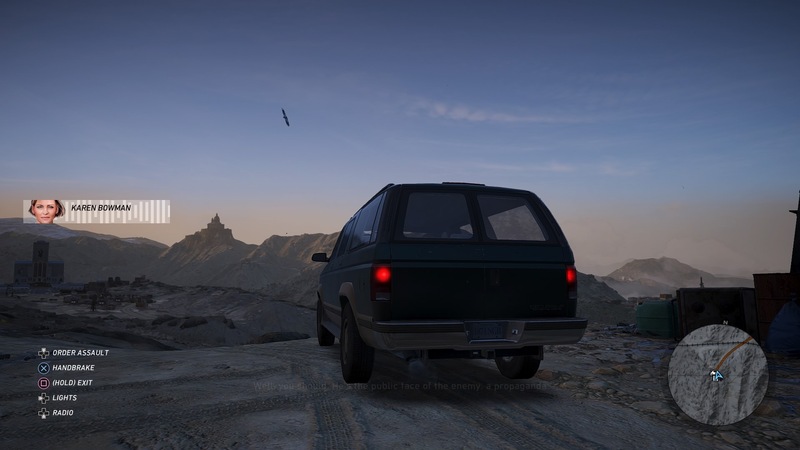 While these features can sometimes be very useful when you want to take shortcuts, or bash other vehicles off the road during a mission, it's just not very realistic. 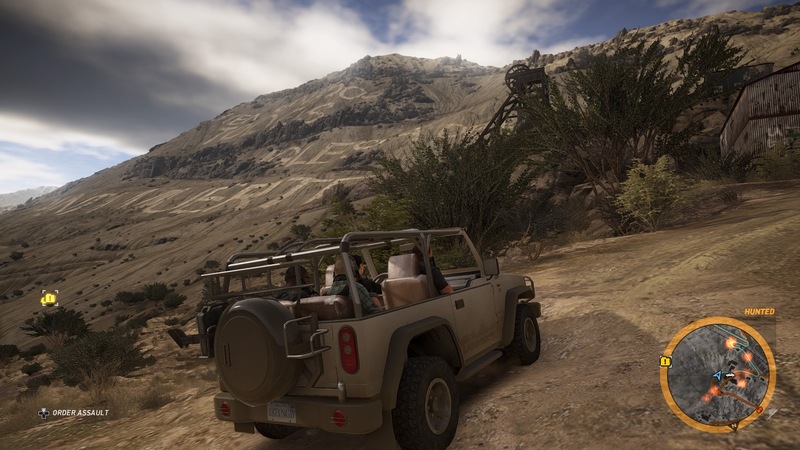 Although Ghost Recon Wildlands' gameplay is a little uneven, its representation of Bolivia is quite astonishing. Graphically stunning, absolutely massive, and packing some marvelous views and vistas, the developers at Ubisoft Paris have done an incredible job of creating a fantastic game world in which to play. The landscaping, dynamic weather, and day-night cycle are all tremendous, and the sheer variety of the terrain is deeply impressive. Sometimes the game does chug a bit, and there's the occasional screen tearing, but Ghost Recon Wildlands is nevertheless terrific to behold. The visual quality also extends to the character models, which are very nicely rendered and detailed. The game's cutscenes sometimes exhibit a few graphical flaws, but they're still good enough. The same goes for the dialog and voice acting. While some of the Bolivian cast sound a little like caricatures, for the most part, the game is fairly well written, with plenty of pseudo-military shtick comprising the twixt-team chatter, and some entertainingly brutal exchanges when you're interrogating narcos. 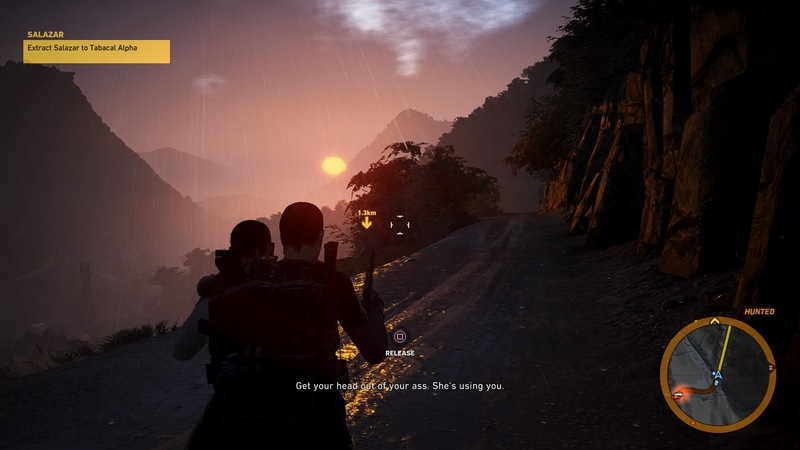 As you might expect, because Ghost Recon Wildlands is non-linear, its story is a little disjointed. Each zone features its own sub-plot, which essentially sets the scene for what you need to accomplish in that particular province. I found it all eventually became much of a muchness – simple back-story that outlines activities that need to be investigated or curtailed, and highlights the key players that need to be extracted, interrogated, or eliminated. There's no real character development, shocking revelations, or surprises – it's simply there to set up the missions and to justify what you need to do. Something I must say is that the deeper I've gotten into the game, the more repetition I've begun to experience in terms of its missions. While there are some unique tasks that help vary the action somewhat, many missions follow a similar formula that is simply applied to more complex and challenging situations to keep them interesting. Assault and stealth missions fall into this category, and escalate by presenting you with bigger installations to raid or infiltrate, which are manned by enemies that are increasingly well armored. You're ultimately doing the same thing repeatedly; it just gets more difficult as you progress. While this design mechanic is true of many games, sometimes it just feels like the designers are a little bereft of ideas. Some missions are straight-up copies of others, just with different circumstances – such as variations on locating someone and taking them to a safe house. Once you've done that two or three times, the novelty just wears a little thin when you're asked to do it yet again. Games like Grand Theft Auto and Saints Row do a better job of mixing up their action – because they have more varied and interesting circumstances, characters, and situations. Ghost Recon Wildlands simply feels more limited in what it offers because, bottom line, it's a shooter. If you have an insatiable appetite for assault and stealth missions, it'll certainly keep you happy, but if you're expecting a great deal of gameplay variety, you might be left feeling somewhat disappointed. While I'm sounding a little down on Ghost Recon Wildlands at this point, I still think it has plenty of positive aspects to offset its negatives. As a multiplayer experience, it's excellent: A really entertaining sandbox game that offers a vast number of activities to keep you busy. 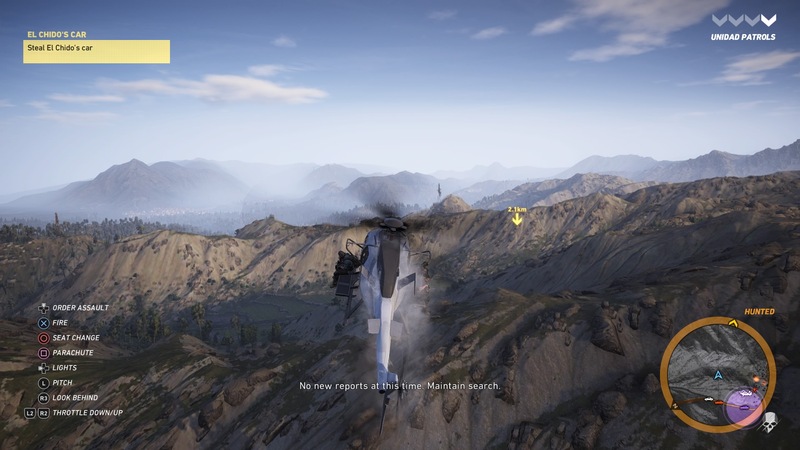 Despite feeling a little repetitive, and occasionally giving rise to ludicrous situations where it feels like you're exploiting loopholes in the enemy AI and general game design to beat certain missions, Ghost Recon Wildlands is simply great fun to play. So much so, that it's easy to overlook its flaws and just get on with doing whatever it is you want to do. As a single-player experience it's less compelling, but still very enjoyable. While some missions are a little frustrating to deal with on your own – especially ones that involve random elements that you don't have control over – most are challenging and enjoyable to play, even if the lack of variety is sometimes an issue. The game also feels occasionally rough around the edges, and you'll inevitably encounter weird little bugs and glitches as you progress through the action, but like I just said – they're easy to ignore when you're having a good time. And that's what ultimately makes Ghost Recon Wildlands a success. It might be flawed, sometimes frustrating, occasionally repetitive, and often ridiculous, but it's also magnificent to behold, packed with content, and delivers some thoroughly entertaining action. The wheel menus are sometimes a little fiddly to use, but overall Ghost Recon Wildlands' presentation is very good. The action does get a little repetitive at times, but if you enjoy sneaking, shooting, and driving, Ubisoft's biggest open world yet is packed full of things to do. The game's audio engineers have done an outstanding job capturing the sounds of Bolivia. Stunning. Ghost Recon Wildlands' huge open world is magnificently realized, and the characters are very nicely rendered and detailed. The game does chug at times, but it's wonderful to look at. Ghost Recon Wildlands is all over the place in terms of its quality. Some missions are frustrating, the game is not without its technical and design flaws, and its sandbox action can sometimes be repetitive, ludicrous and over-the-top. On the positive side, the game packs a vast amount of missions to keep you busy, features a magnificent open world, and is simply highly entertaining to play - especially cooperatively. 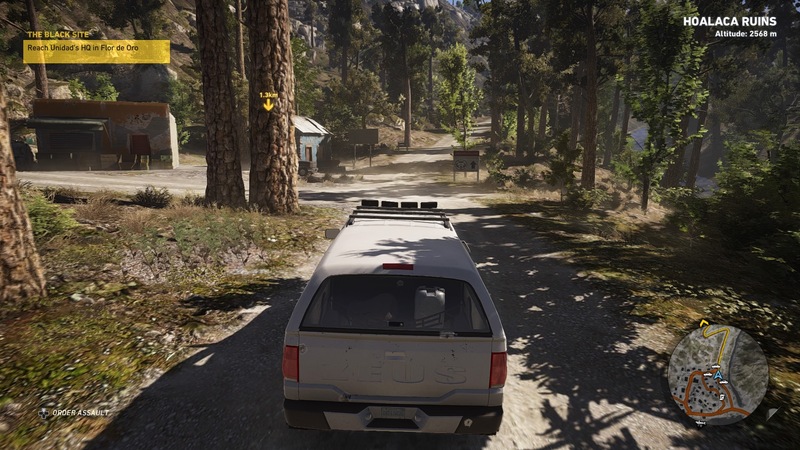 Don't go in expecting perfection, but if you're into shooting, sneaking, and driving, Ghost Recon Wildlands is a lot of fun.